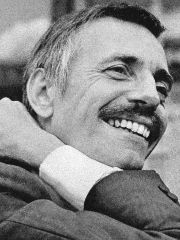 A French composer Paul Mauriat (Marseille, 04.03.1925 – 3.11.2006, Perpignan, France) is probably the only artist who managed to sum up the history of world music of the 20th century in his exclusive and prolific discography. Being a son of the European counter-culture with an excellent education, and at the same time a lover of the North American music, jazz, he ventured to combine elements of the world around us, everything that was related to music, culture and technology. The result was the unusual and extraordinary legacy of a changing art, always original, democratic, timeless, intelligent, popular, and at the same time eternal, that “was not hurting anyone” — as a guitarist Duane Ollmen said, and which brings all schools of thought of all nations together. All the music arranged by Paul Mauriat is beautiful, sometimes even too beautiful. Aesthetics that was founded by him is clear, cool, and at the same time strong and wonderful, shifted from the standard, both popular and lyrical. Being in a creative search, he had devoted his life energy to the disclosure and continuous improvement of his successful form of communication by giving vivid and strong personal feelings and emotions to every song. He conveyed a sense of lightness, wealth, openness, charm, professionalism and accessibility for everyone. In the article of one Chinese observer, he was called a “Messenger of mood music” and a “God of French post-war music”. Loving fans of the east say: “The king of world music”, but despite this, according to one French critic, Mauriat — is “indescribable”. To describe Mauriat is to limit the world, to restrict the ability to make life more interesting. Mauriat grew up in Marseille in a family of musicians that were traditionally associated with classical music. At the age of 10 he entered the Conservatory, where he studied until his adolescence. At the age of 14 he was awarded with the title of the “first” in education. He was interested in jazz, but his ambitions, such as a vocation for symphonic music, forced him to go the other way. When Paul was 17, he created his first orchestra and during the World War II he played in Music Halls all over France. 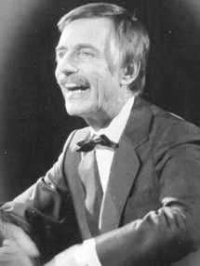 Later Paul Mauriat was hired by the French branch of the North American company «A&R» (Artists and Repertoire) as an accompanist in various shows and then he finally went to Paris, the most important world music center. Even today «A & R» is an organization with an excellent reputation for opening new phenomenal musical talents. It was an agent of artists like Billy Holiday, Bob Dylan, Bruce Springsteen and Aretha Franklin, and many others. In this regard, Paul Mauriat was noticed by Charles Aznavour and was hired as an arranger. 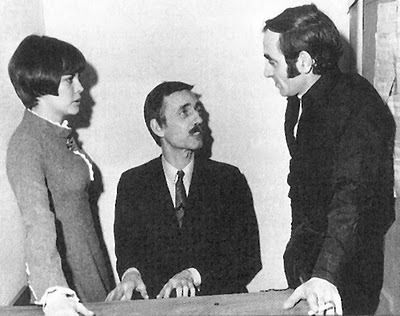 Mauriat later said that the contacts provided by Aznavour became an important part of his life. During the 50s he was a musical director of such well-known French singers of that time as Maurice Chevalier, Henri Salvador, Dalida, Leni Escudero, so he toured and recorded with them, and of course with Aznavour. In 1957 he released his first album, “Paul Mauriat”, one single with four tracks recorded at the recording studio RGM. 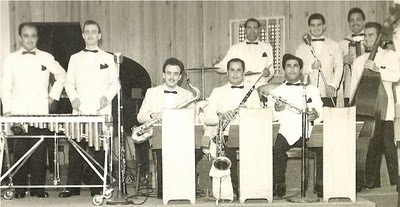 Between 1959 – 1964 Mauriat recorded several albums on the Bel-Air studio under the name «Paul Mauriat and His Orchestra», he also used various pseudonyms of Richard Audrey, Nico Papadopoulos, Eduardo Ruo and Willy Twist, to better reflect the international flavor of his recordings. During this period Mauriat also released several recordings with the label «Les Satelites», where he creatively arranged vocal backing harmony for such albums as «Slow Rock» and «Twist», (1961), «A Malypense» (1962), and «Les Satelites Chantent Noel» (1964). Mauriat also composed the music for the soundtracks to a variety of French films (produced with the Bel-Air), such as “Taxi to Tobruk” (1961), “Horace 62″ (1962) and “Rob the Bank” (1964), and for many more movies with Charles Aznavour. He wrote his first hit with Andre Pascal. In 1958 they were awarded at the festival “The Golden Rooster of a French chanson” with the song «Rendez-vous au lavandou» that was later recorded and performed by Henry Salvador. And the next hit, which quickly became popular, was «La Longue Marche». Using the pseudonym of «Del Roma», Mauriat released his first international hit «Chariot», which was written with his friends: Franck Pourcel (co-composer), Jacques Plante (lyrics) and Raymond Lefevre (orchestrator). In the United States this song was recorded as «I Will Follow Him» by «Little Peggy March» and was number 1 on the charts in all categories for 3 weeks. In the early 90s this song was the main soundtrack for the movie “Sister act!” — I and II parts starring Whoopi Goldberg. In addition, this work was overwritten by various international artists. Eminem recently used it as the basis for the song «Guilty Conscience». Not so long ago, a famous American rapper Snoop Dogg, using the song of Mauriat «Plaine, ma plaine» of 1965, also made his own version. In 1965, Paul Mauriat finally made the creative choice in his life, and was able to present his own style, aesthetics, earning worldwide fame, that is acknowledged today. Thus «Le Grand Orchestre de Paul Mauriat» (the Grand Orchestra of Paul Mauriat) was created. It released hundreds of recordings and compilations under the name Philips in the next 28 years. In 1994, he signed a contract with a Japanese recording studio «Pony Canyon», where he rewrote some of his greatest hits and wrote new songs. In 1968, «L’amour est blue» (Love is blue), that had been released a year earlier, was number 1 in the North American charts for 6 weeks with the album «Blooming hits» (more than 6 million copies were sold), thus setting a record as the first French and instrumental artist who achieved such results. He went into the “Top — 100” of American «Billboard» after the album «Hey Jude» of Beatles. Paul Mauriat relied mostly on stringed instruments, keyboards and rhythmic variations and all these allowed him to create an interesting music. Tonality (musical phrases), as a rule, was brilliantly rich, exciting, and filled with the rational use of percussion to convey the magnificent style. Mauriat was a perfectionist, striving to improve his music with strict professionalism and constant analysis. His studies were left as a legacy for future generations, particularly in the records of «multi-track», where he was a tireless researcher. For a long time these recordings were used to test sound equipment. Mauriat recorded albums in the UK, U.S., Japan and Brazil, using music from different countries and it is believed that over 40 million copies were sold worldwide, but most of his repertoire was recorded in France, in the studio «Des Dames», under the direction of sound engineer Dominique Poncet. In the period from 1967 to 1972, he wrote several songs for Mireille Mathieu, and they were awarded with prizes. These were songs such as «Mon Credo» (1.4 million copies were sold), «Viens dans ma rue», «La premiere etoile», «Geant» and many others, and also he contributed to the variations of 130 songs for Charles Aznavour. In 1975, «Elle Arrive Aujourd’hui» written by Mauriat and performed by John Gabilou won the first prize at the festival in Palma da Majorca (Spain). In addition, during the 70s, he wrote for Catherine Valente and Alcyone. In 1985, Paul Mauriat created another masterpiece for Mireille Mathieu: «C’etait le premier rendez vous». Mauriat was internationally recognized and received gold discs in different countries, «Grand Prix du Disque» in France, the trophy «Midem» (The World’s Music Community) and he was also invited to work in the «International Federation of the Phonographic Industry» located in London, and in 1997 he was awarded with the prestigious title «Commandeur des Artes et des Lettres» (Commander of Arts and Letters) by the Ministry of Culture of France. If to compare him with his peers, Paul Mauriat has the largest catalog of recordings, starting from 1500 tracks and more than 1,000 concerts that charmed more than 3 million listeners according to the calculation of the studio Universal Music. His appearance on the television program «Sullivan Theater» (Ed Sullivan Show) received enthusiastic reviews, and soon the Japanese channel NHK invited him to tour in Japan, which had a record number of spectators in 1969. In the late 70s, the stadium Budokan in Tokyo was able to accommodate 12,000 people that were eager to see the show. According to Paul Mauriat, during the international tours, he tried to exchange experiences with the local musicians and his own orchestra, breaking the cultural limitations of Paris. Among many others, he opened Mexican trumpet players, which he alluded to more than once in the future, and the Brazilian cellists with their fantastic technology and brilliant performance. In the 70s and 80s, at his concerts of live music Paul Mauriat used backing vocals of the Brazilians: Eve, Maryse and Regina, the trio «Esperança» (Hope) in order to support some of the numbers that he created for his concerts. He also participated in creation of commercials in Japan; his music was used in the commercials of coffee and wine brands. At the moment, there is production line of saxophones, trumpets and accessories under the brand named after him. 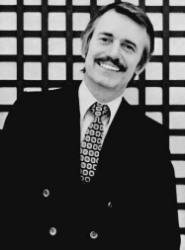 For several decades, Paul Mauriat’s compositions served as soundtracks for several TV programs, TV series, commercials and films of different countries. Mauriat said goodbye to the scene in the end of 1998 at a concert in Osaka, but his orchestra has still successfully continued touring. Initially it was under the guidance of the pianist Gilles Gambus who worked 25 years with the maestro and his brother Gerard, and now it is under the leadership of the trumpeter Jean-Jacques Justafre. The orchestra mostly performs in Asia, where it has loyal admirers. In 2002, a writer and a columnist Serge Elaik wrote the official biography of Paul Mauriat, which was called «Une vie en blue». Mauriat died at the age of 81 at his home in southern France, in Perpignan. We grew up with his bright shiny colors and a fantastic kaleidoscope of infinite forms, bearing his name, which after his departure was left as a legacy that we must also maintain high after our life. His music, interwoven with our feelings, travels beyond space and time and is always perceived peacefully, and finally converted to water, air, earth, moon, stars and sun. His art is always present in our dreams and in our daily lives. In the music, which gave us showers in the hot evenings, the fire and heat on the coldest nights, it seems that the universe of souls and hearts, which he loved, is hidden with infinite kindness. The wisdom of a man is not measured by his academic knowledge; the wisdom of a man is determined by his spiritual projection. Mauriat spread his message to the world in the form of music. 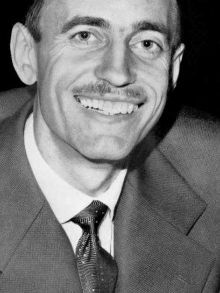 Modest, discreet, friendly, Paul Mauriat will always be with us, and maybe every time we listen to his music, he becomes even closer, because his music has lived and lives in harmony, which seems endless. The stars trembled in pain on November 3, 2006. But they revived and began to shine again when they heard a borderless world of his music in the infinite life.